Phoenixx Penke and Halie Baker plant a flower with care. 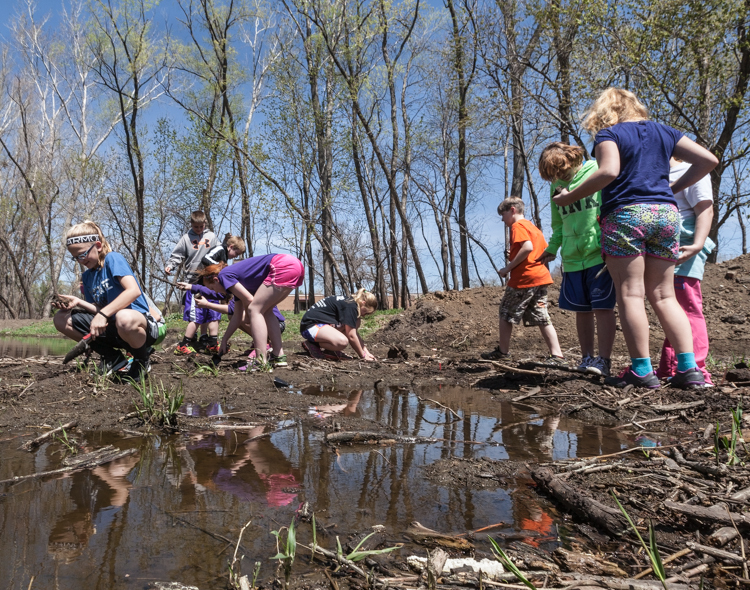 Fifth grade students planted over 700 native flower plants in the native flower area and wetland area along the edge of the Arbor Park campus. 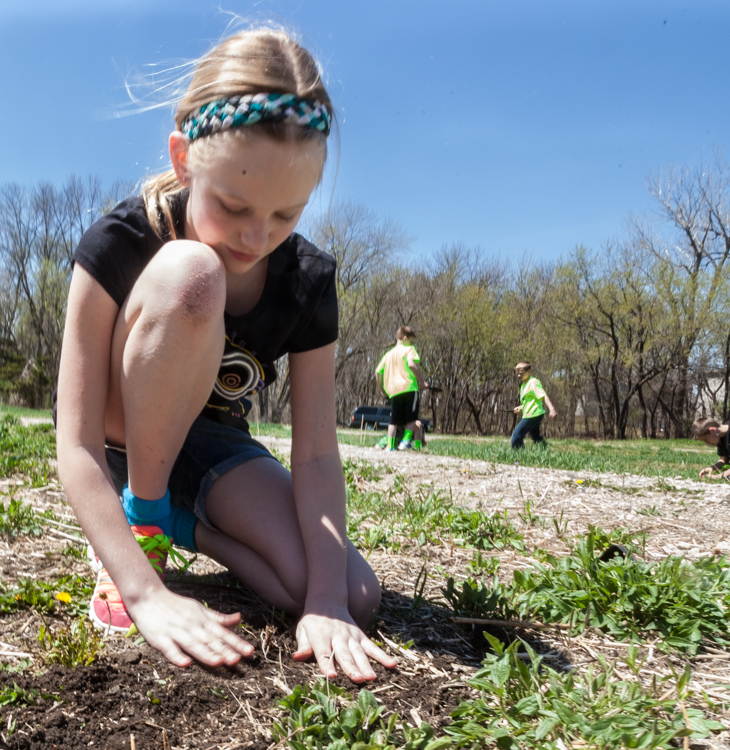 The various species included several varieties of milkweed, Joe Pye Weed, Compass Plant, New England Aster, Blazing Star, Rattlesnake Master, Ironweed, Blue Vervain, and Lead Plant to name just a few. 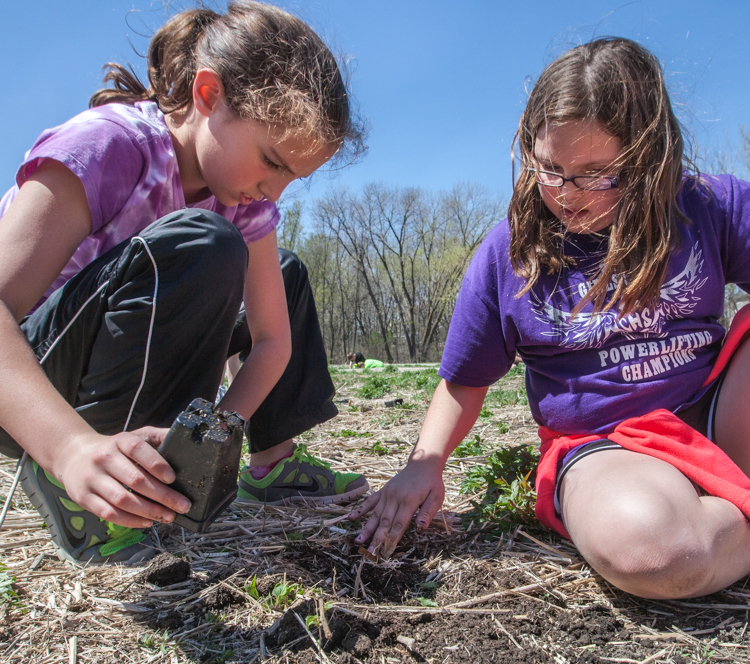 In the fall, students harvested seeds from the existing plants and disbursed them in the meadow in late winter. 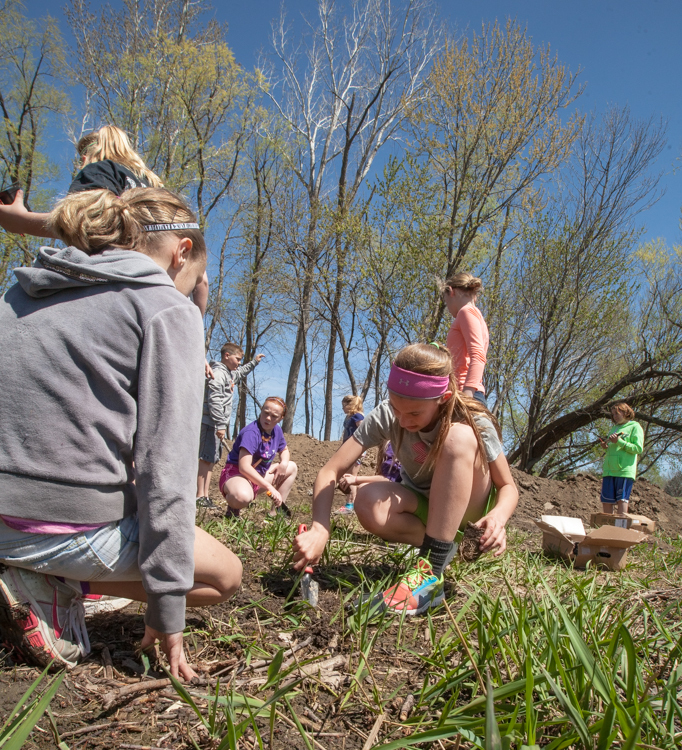 Throughout the year, the students visit the nature area to work on various lessons, and to develop an appreciation and respect for nature. 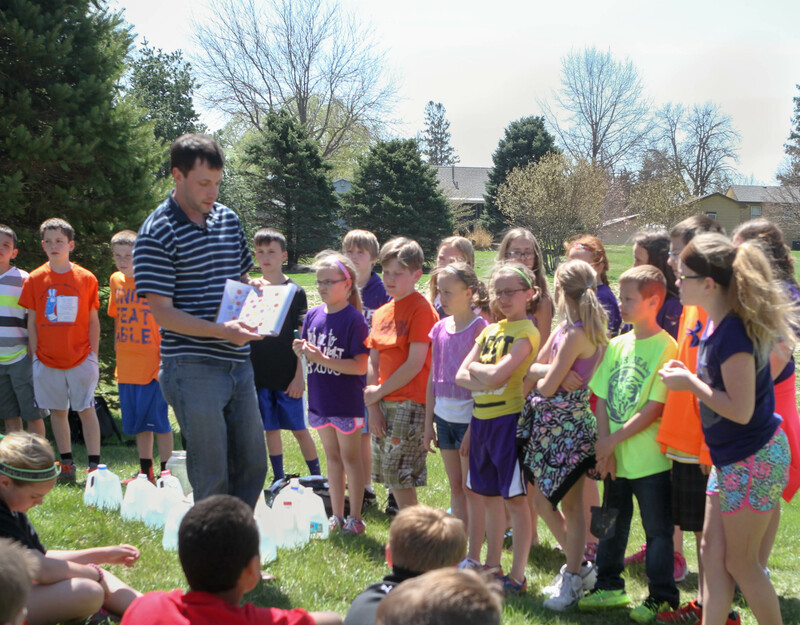 Scott Schmidt shows students a diagram of where the flowers will be planted. Kaia Stewart plants a native plant. 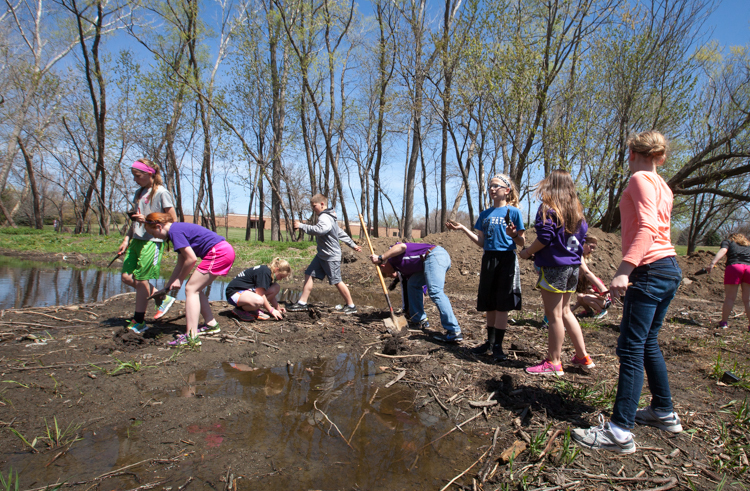 Fifth graders planting in wetland area. 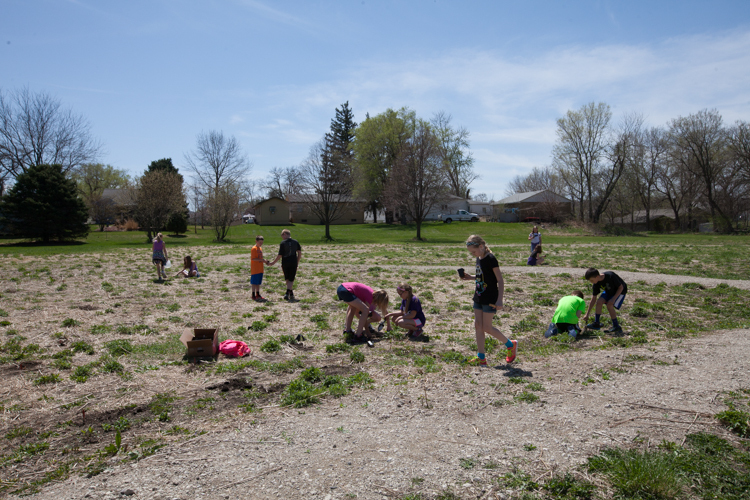 Students planting in the meadow area. 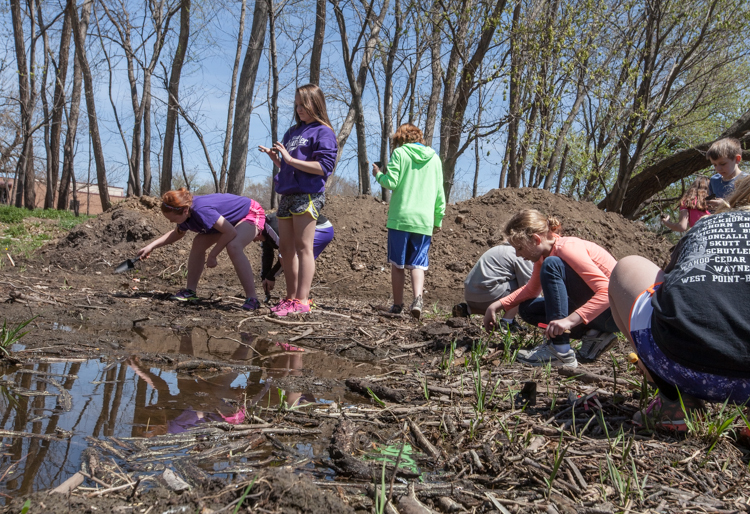 Girls plant along the edge of the wetland area.